Digi International Launches Digi IX14 - Intelligent Edge Computing Router For Critical Assets - Digi International, Inc.
HOPKINS, Minn., Feb. 5, 2019 /PRNewswire/ -- Digi International®, (NASDAQ: DGII), (www.digi.com), a leading global provider of Internet of Things (IoT) connectivity products and services, today introduced the Digi® IX14, an ultra-reliable, secure, industrial LTE router ideally suited for utility, Smart City and kiosk applications. Addressing the needs of those seeking affordable, low bandwidth, single asset applications, the Digi IX14 will include a one-year subscription to Digi Remote Manager® to address the needs of critical infrastructure, industrial, retail and digital signage markets. "The next generation of industrial connectivity is not just about hardware, but also provides insights into operational efficiency and security," said Scott Nelson, vice president, products, Digi International. "Whether an outdoor digital signage company, a financial services organization with a distributed network of outdoor ATMs, or a utilities operator that needs data communication with remote SCADA sites, Digi IX14 provides outstanding connectivity along with in-depth device and network understanding through tight integration with Digi Remote Manager." Digi IX14 is the first product launched under Digi International's new router naming system: the IX series of routers caters to industrial uses while EX and TX products are for enterprise and transportation applications, respectively. Digi International (NASDAQ: DGII) is a leading global provider of business and mission-critical Internet of Things (IoT) connectivity products and services. We help our customers create next-generation connected products and deploy and manage critical communications infrastructures in demanding environments with high levels of security, relentless reliability and bulletproof performance. Founded in 1985, we've helped our customers connect over 100 million things, and growing. 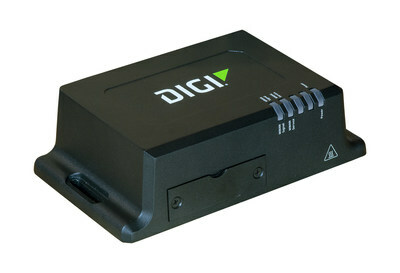 For more information, visit Digi's website at www.digi.com, or call 877-912-3444 (U.S.) or 952-912-3444 (International).